Are you teaching IELTS for the first time, and wondering how to tutor your IELTS students at a high level? Or are you an experienced IELTS instructor looking to improve your curriculum? Either way, we applaud you—whether you’re a new teacher or an experienced one, searching for new IELTS teaching resources to incorporate into your IELTS teaching lesson plan is a sign of true dedication. It’s a challenge, but it’s definitely a worthwhile one! 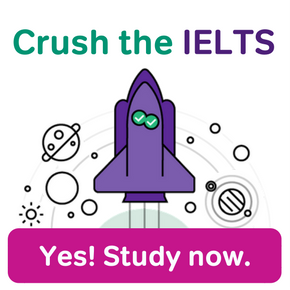 To help you and your students on your journey, we at Magoosh want to point you in the direction of the best free teaching resources for IELTS. You can use these IELTS teaching resources in a variety of ways, incorporating them into your own IELTS teaching lesson plan, using them as additional IELTS classroom resources, or simply using them to expand your own knowledge. Ready to take a look? We’re excited to share with you the best of Magoosh’s IELTS material…so here it is! This table contains all of the resources mentioned in this post in one organized place. Use this as a reference, or read on to get ideas for how you can incorporate all of these IELTS teaching resources into your lesson plan. Intrigued? Keep reading to find out how you can best use these materials in your IELTS lesson plans! Teaching IELTS for the First Time? What Do You Need to Teach IELTS? If you’re teaching IELTS for the first time, your big question is probably…how to teach IELTS. Don’t worry! Take a look at the following resources and wrap your mind around how you want to use your classroom time to your particular students’ advantage. As you go through the IELTS teaching information here, think about how you can use these IELTS teaching ideas to make your own IELTS teaching lesson plan that will really help your students succeed, based on their strengths and weaknesses. IELTS Lesson Plans for Teachers Aren’t One Size Fits All: What Do You Need to Teach IELTS? If you’re new to teaching IELTS, you may have come to this post looking for a fully formed lesson plan. The thing is—every classroom is different and no one knows your students as well as you. IELTS lesson plans for teachers are not only incredibly important, but also very unique to both the instructor and the material. Our goal here is to provide you with resources that can be used to suit any IELTS teaching lesson plan for any teacher and any class. We provide all the pieces, but leave it up to you to arrange them to your liking. If you get stuck or have any questions, just drop us a comment at the bottom of the page and we’ll get back to you! Many of you are teaching IELTS to students who are very new to the test and are probably wondering how to teach IELTS to beginners. Trust us—it’s not as scary as it sounds! Even though you may be facing a classroom of students at varying levels, there are a variety of resources and strategies you can use to help each and every student succeed. Let’s start by talking about vocabulary: Students should try to learn 10-15 new words each day. For most students, this is a manageable number; if a student balks at vocab study, be sure to point out that they can use “dead time” (on the bus, waiting in line) to learn these words and then reinforce their understanding in everyday conversation or during class. 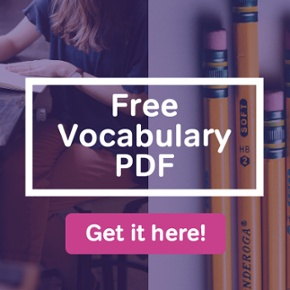 Point them in the direction of the IELTS vocabulary PDF for at-home study, while they may find the IELTS vocabulary flashcards are more helpful on-the-go. The IELTS exam tests a lot of skills, and each test is very different. Rather than give you a bunch of general resources and tips, we’re going to break our IELTS teaching tips into the same sections as students will come across on test day: writing, speaking, reading, and listening. Let’s start with writing. Before you can teach IELTS writing—or even come up with your IELTS writing lesson plan—you’ll need to learn or review the format of the section. You can find official information here, while Magoosh’s experts have come up with a detailed overview of the exam format here. It’s helpful to see how the exam is scored, as well, before going any further. Here’s the official resource, and here’s our answer to that ever-occuring question, What is a good IELTS Score? Once you have the general format down, dig a little deeper. We can help you there, too, with Magoosh: Complete Guide to Task 1 and Magoosh: Complete Guide to Task 2. These will help you guide students to their best scores through focusing on the specific requirements for each task (you can see the rubrics here, Task 1, and here, Task 2 Rubric). Now that students know what the exam is asking them to do, they should work not only on practicing exam sections, but also on the skills needed within each of those exam sections. Key amongst these is learning how to paraphrase. There’s a great Purdue OWL paraphrasing explanation here, while Magoosh’s experts explain how that translates to the IELTS more specifically: Magoosh: Writing Task 1 paraphrasing video; Magoosh: Writing Task 2 paraphrasing video. In fact, these latter two videos give you a great exercise you can work with in class, using different questions. Answer one prompt with a timer running. Task 2 prompts work best for this exercise. Attempt to write without stopping the entire time (i.e. no dictionary checking or outlining. Students should just write). Students should focus on filling the page with details. Make a point and show what they mean with reasons, examples, illustrations, etc. This is often a weak point for non-native English speakers and a big reason they have such difficulty hitting the word-count minimum. Many students list main point after main point without fleshing out their message. When time is up, students should spend some time editing their own work or a partner’s. There are a few things you’ll want to focus on that are task-specific and extremely important. Now that you and your students are familiar with what’s expected, guide them towards mastery of the following. It is important that students avoid presenting opinions or personal perspectives in this essay type. These are supposed to be more like reports, where students simply present the most important information from the provided visuals. It’s great practice when students have opportunities to describe factual information on charts, graphs, and maps, especially when they can compare data on two related visuals. Task 1 often requires students to describe changes, trends, patterns, etc. represented in multiple visuals. Learn how to write a Task 2 conclusion (1-2 sentence paraphrase of the thesis is recommended). That’s already a lot to cover…but there are still a few more things that will help your students perform well on both writing tasks. They’re small but worth doing! Students should work on mastering transition words and developing cohesion in writing. Resources at UWisconsin: transitional words and phrases and the British Council: Pronoun Review can help them get started on this. Finally, make sure that your students practice Writing with pencil and paper. 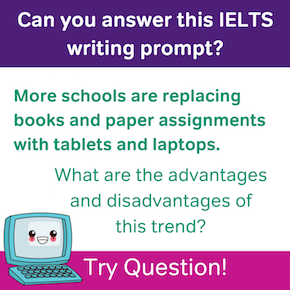 I don’t have resources to suggest here; this is just a skill that students should be practicing as they work on IELTS writing! It’s all the more important now that we’re so laptop-dependent. Spelling counts on IELTS, so work with students on getting their spelling to a high level, as well. Before creating your specific, tailored IELTS speaking lesson plan, make sure that you know the format of this section (the Magoosh: Complete guide to IELTS Speaking can help you out here!). Another important resource you should consult is the Official Speaking Rubric, which sets forth how students will be scored. IELTS Speaking Tips: What Should Students Focus On? Recording student responses; teachers should provide grammatical feedback based on the recordings. It is very difficult to give feedback in real time, not just because it’s awkward and difficult to remember small errors. And yet the small errors add up to a lower IELTS speaking score. Teachers should record students and provide specific feedback on grammatical problems and areas in which students could use more advanced (and higher-scoring) structures. Finally, practicing responses to a very wide range of IELTS-like topics provides an opportunity for students to use vocabulary of which they may have only a very passive awareness. Of course, you’ll also want to draw your students’ attention to the requirements of each part of the Speaking section. So how to teach IELTS Speaking Part 1 (or 2 or 3, for that matter)? Here are our experts’ recommendations regarding what students should practice. N.B. : The Magoosh Speaking topics PDF is great for this. Here’s what students and teachers should anticipate in IELTS Speaking. Expressing personal perspectives on complex topics with no clearly correct answer. The 500 NYT Writing prompts listed above work great for this! Let’s face it: It’s difficult to predict Part 3 topics in advance, but these questions commonly focus on topics that one might expect to read about in the news or study in school. The best way for teachers to help students is to expose them to many topic areas with opportunities for discussion. Students should be encouraged speak at length about their personal perspectives as much as possible, since this is a basic feature of Part 3. 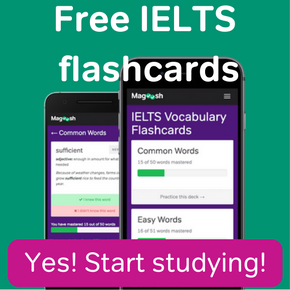 If you’ve read through this post so far, you probably know what we’re going to recommend in terms of IELTS teaching tips…learn the format (Magoosh: Complete Guide to Reading)! Here, though, we’ll take it one step further and say that students should also study each question type and its directions in detail, since there are more types of “tasks” in this section than any other on the IELTS. There’s a pretty good official resource to help with this (Official: Question Type Descriptions). Write very short notes in the margins (1-3 words max), labeling the topic of each paragraph if possible. Then, go straight to the questions. Read the questions and scan for answers. Correct answers usually paraphrase the text. What Should My Students Read? At the end of the day, one of the best things students can do is to reading similar content as IELTS passages. Working some of the following resources into your IELTS reading lesson plan, even as homework for students to discuss later, will really boost overall comprehension of IELTS passages. New Scientist: New Scientist is an international science magazine from UK. Some New Scientist articles, such as one called Flawed Beauty: the Problem with Toughened Glass, can be found in Cambridge IELTS books and past IELTS exams. Scientific American and American Scientist: Scientific American and American Scientist are two popular American science magazines. They also include health and education articles, which are very similar to IELTS Academic Reading passages. What is more, Scientific American offers hundreds of 60-second science podcasts, which are great for IELTS listening practice! BBC News: Get the latest news from different parts of the world in English. There are many kinds of reading materials on BBC News that work great for IELTS prep. The Economist: The Economist is another common source for IELTS reading passages. Many articles from past exams were taken from this magazine. National Geographic: National Geographic contains articles about geography, animals, culture, the environment, travel and adventure, which are common topics for both the Academic and General Training Reading exams. History Extra and History Net: History Extra and History Net are two great history magazine websites with podcasts, articles and reviews on a variety of events. Don’t assume that just by being in your class, students will hear enough English to make IELTS Listening a breeze! (And don’t try to incorporate imitations of accents into your IELTS listening lesson plan…trust us, it’ll just get confusing, mate.) So what should you do? You guessed it! Learn the format of this section to teach your students. Can we help you? We definitely can: Magoosh: Complete Guide to IELTS Listening. Then, understand each question type and its directions. IELTS will help you and your students there: Official: Question Type Descriptions. The IELTS can seem overwhelming at first to teachers and students alike. That’s why advanced preparation is absolutely key. And while you don’t need to have your IELTS lesson plan finalized down to the last second before the first day of class (you’ll want to adapt based on your students, of course! 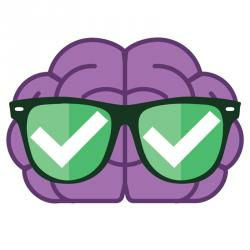 ), knowing the test inside and out—and how you can help your students succeed on each and every section—is a great way to prepare. Congratulations on the job—and good luck! I found this short article on IELTS teaching-learning process very insightful! The article is very helpful. Thank you very much for it! But still, I want to ask one question and I hope it won’t sound stupid to you. While teaching students different skills (like writing, speaking, listening and reading) should you teach them in isolation or in combination (for example, reading+listening, reading+speaking etc)?Or maybe you should try to combine them into one lesson? It will be very nice to hear your advice. Thank you in advance for your reply! I find that it is best to do all of the things you have said throughout a unit. Spend some days focused on just one skill and spend other days working on crossover activities. Language rarely happens in isolation of 3/4 of the skills, but it is important to sometimes focus on studying that way. You could spend entire lessons on a single skill, but if the lessons are long, students may be bored. At minimum, I usually aim to spend 10 minutes on something that feels very different from the rest of the lesson, just for variety. I have been teaching ielts for the last year and half. I find teaching the writing module to my students very difficult. Would someone at magoosh guide me. I am ready to pay the required fees. I’m looking for a one to one teaching. It sounds like you are looking for more personal guidance on how to teach the IELTS than we may be able to provide. We mostly focus on giving preparation material to students, so I’m not sure we can give you one-on-one guidance. Know the test well. Take it yourself several times, if you haven’t already. This will help you give better advice to your students because you’ll be so familiar with the exam. Students should use real English communication as much as possible. Their goal is to actually communicate, not just learn the rules or memorize definition. Those rules and definitions help, but they do not make fluent communicators. Encourage students to communicate with each other. The more they are interested in each other (using only English), the more comfortable they will be writing and speaking in English. Use test material regularly. Never neglect the format of the IELTS. It will be much more memorable for students if they have used that same material often. Hope this helps! Best of luck.